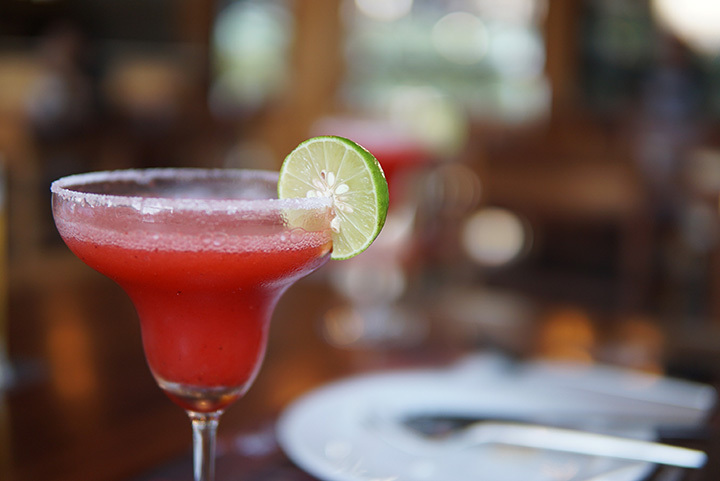 Margaritas are the perfect complement to a Mexican dish, a fun drink for a night out with friends, and a wonderful addition to any celebration. They’re simple to make, and best of all, they’re highly versatile to give you a unique experience every time. Whether you love frozen or on the rocks, salt and lime or plain jane, flavored or classic, you can’t go wrong at these 10 best places for margaritas in Mississippi. Step inside to an ambiance and vibrancy that will make you think you’ve gone straight to Mexico. From authentic Mexican cuisine and Tex-Mex flavors, they’ve got an all-star lineup that will sate every appetite. But it’s the Margaritas that will keep you coming back. With flavors like classic to smoky jalapeno and the margarita infused with a Corona beer, you’ll want to try every option on the menu. Margaritas is in their name for a reason: they make the best around. Every margarita looks like a work of art. Buy them by the glass or by the pitcher— either way, you’ll be glad you did. You’ll appreciate their margarita’s fresh ingredients, from fresh squeezed lime juice to organic agave. Their list of margaritas is quite extensive. If you can’t choose, grab a flight of four unique flavors. They also pride themselves on offering made-from-scratch foods that taste as though they came straight from the farm itself. Touted as the best margaritas in town, a frosty concoction here won’t disappoint. They offer a variety of flavors and tequilas in both classic and frozen varieties. They’ve even been known to hold in-house classes that detail how to make the perfect margarita. There’s one thing that makes drinking margaritas here better than anywhere else: every Tuesday is all-day happy hour, giving you every excuse to pop in for your favorite drink. They have a full bar with some of the best tequilas for margaritas, so don’t be afraid to experiment—you might just find a new favorite! This restaurant actually has several locations throughout the country, but you’ll find the only one in Mississippi in Jackson. Upscale ambiance pairs with authentic Mexican flavors and house-made sauces and signature dishes to create an experience you won’t find anywhere else. They’re home to an award-winning margarita, the Casa Rita, that’s made with freshly squeezed lime juice and high-quality tequila. You won’t find a Mexican restaurant anywhere else like this in the state. This restaurant is owned by a family who also has restaurants in Mexico City itself, so they know how to do authentic Mexican cuisine the right way. During happy hour you can score select margaritas for half price. They’ve got plenty of flavors to choose from, and you’ll want to return again and again to try them all. You can get a great discount on lime margaritas during happy hour, but they taste so good you’ll never mind paying full price any other time of day! Every margarita is handcrafted from scratch to give you the best in flavor and freshness (no mixes here!). They have a spacious bar area where you can enjoy your drinks with friends. From the folks that bring you Aztecas comes another Mexican and margarita experience—San Miguel Hacienda. Flavors are fun and unique, giving you things to try you haven’t already experienced elsewhere. Fans love the attentive service here, touting it as the best in town. With a name like Cinco de Mayo, you already know that every day is a party here. This place has the best combination of margaritas, food, and service in town. Try their frozen margarita sangria swirl—your first won’t be your last!